I have been using Vega Protein Powder in my breakfast smoothies recently. I have used lots of protein powders over the past few years in my quest for optimal health and fitness and decided it was time to write about it! I first tried Vega several years ago when I was doing a 21 day cleanse and sugar detox program called Clean. They recommend Vega because it is a vegan protein powder. 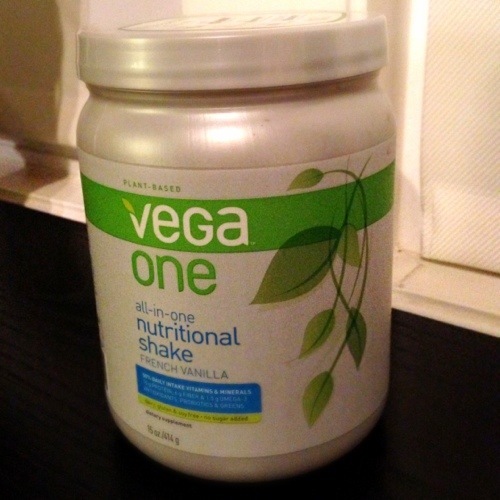 This was my first time having Vega One Protein Powder in years since doing that detox diet. I noticed that they have rebranded since then and have also created a new formula for their products recently and I had yet to check it out. 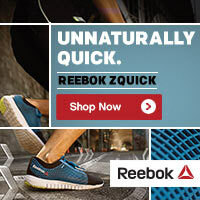 Vega was founded by a professional ironman triathlete named Brendan Brazier. He is a vegan and eats a strict plant-based nutrition diet and the Vega line of products follow those same principles. 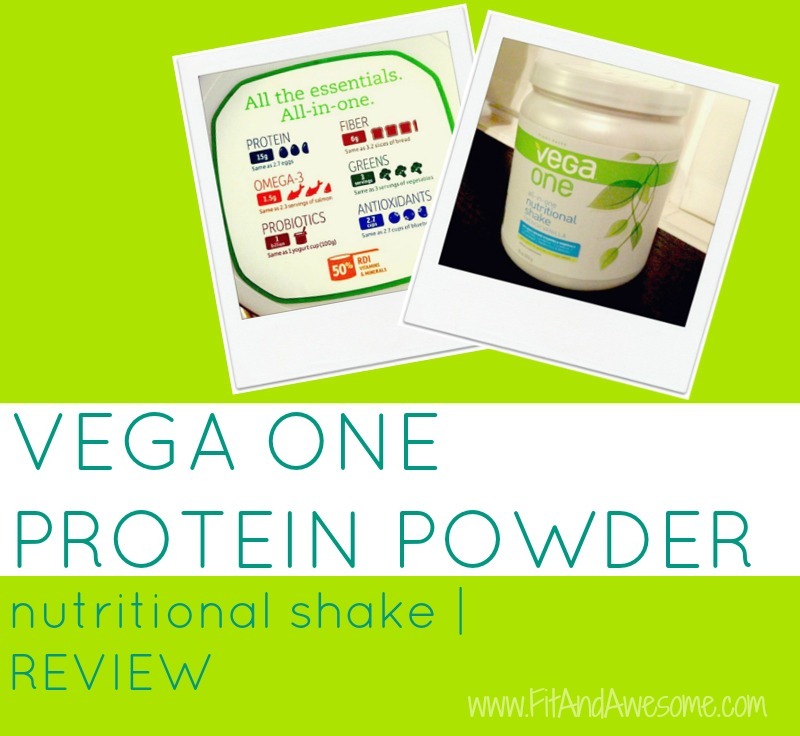 Vega calls their protein powder an all-in-one nutritional shake and that’s really what it is. I have to admit that the first several times I used this product, I had some mega tummy and digestive issues. I am not going to lie, it was really bad. I got really bloated and was uncomfortable all day. I was surprised by this because I had the Vega protein powder before and never had a reaction to it. I stopped using it and I immediately felt better. Coincidence? I think not. I emailed the folks at Vega about my issues and they were very kind and told me that they changed the formula of the product when they rebranded to Vega One. The product has something called inulin in it, which is a form of fiber that comes from chicory root and some people have trouble digesting it. She recommend that I start with only half a serving of the protein powder to start since that is what they recommend because the Vega Protein Powder does have a “cleansing effect” and it takes some getting used to. She also said that I could return my Vega One protein powder for a full refund. I was bummed, but considered this option given how icky it was making me feel. After this happened, I put my Vega protein powder away in the cupboard for two months. I recently pulled it back out of the cupboard because I was out of my other protein powder and I decided to give Vega another shot. I really wanted to like it because of all the great vitamins and minerals in it, but I wasn’t sure if my tummy would handle it. I tried it again and thankfully didn’t have any issues (thank goodness!) and I have been feeling quite good since I began using it again. No more bloating and it has been making me quite “regular” which is nice. I am continuing to enjoy it in my morning smoothie. In fact, I just ran out of it today which is why I decided now is a good time to write my review. My typical Vega shake in the morning is almond or coconut milk, Vega protein powder, 1/2 a banana, and a tbsp of almond butter. It’s a surefire way to keep me full and satiated through the morning. Even after having my hiccups with the Vega protein powder after trying the new formula, I would still have no hesitation in recommending it to others. BUT my advice would be to start with a SMALLER serving and “proceed with caution” in the very first days of use as the cleansing effects can be quite strong at first. But for this much nutrition in a scoop of protein powder, I am so glad my body got used to the new formula and I tried it again because now I look forward to having it in the morning! Have you used Vega Protein Powder? What are your thoughts on vegan protein powders? Do you experience “cleansing effects”? What type of protein powder do you use? Post in the comments and let me know! I’ve been pretty loyal to SunWarrior but need to mix it with fruit and cinnamon to make it taste better! I’m really looking for a good grab-and-go powder…one that I can just add to a blender bottle. That’s a lot of good nutrients in one serving. Good call on contacting the company. Why didn’t they disclose that they reformulated earlier? Was there a note or warning on the container to suggest starting with small amounts and increase intake? I knew they rebranded because the packaging was different, but I didn’t know the formula had changed too. They did disclose on the label that you should start with half a serving, but I chose to ignore this because I had used it before. I didn’t know my body would react so strongly to it! Interesting review of Vega – I’m curious to see how it goes with you and the product as time moves on. Have you gone back to “normal” servings since the half servings? I’m concerned about the lack of carbs – I’m a carb girl and it always seems like I need a little bit (even a piece of English muffin) plus a protein shake to keep my body happy/not jittery. I’ve been introduced to a product line by a company called Sevenpoint2 do you know about any of their products? Hello, nt sure if you read but some Vega One products have been recalled. I started taking it in March and had some stomach issues along the way…then I felt really ill in June for a whole weekend…I felt more sick than ever before and thought it was a bad stomach virus or food poisioning. Literally on the toilet for two days straight. Lost probably 5-10 pounds that weekend and I am very tiny. Thanks for the information. I was aware of the Vega One Recalls. I checked the number on my protein powder (I bought two and had one left) and thankfully my jar of Vega One was not contaminated. I hope you are feeling better! Thanks for the information. I started using Vega One about two months ago since I am lactose intolerant. I go to Whole Foods often, so I thought I would give it a try since they were having a sale. I purchased the Vanilla Chai. The product was great! Then I broke out in a rash. I did not know what was causes this. I ended up going to the dermatologist. They did a small biopsy and it turned out I was allergic to something I was ingesting. I stopped the Vega One for a couple of days and noticed the bumps were going away. I tried to use it again a couple of weeks later, I started itching. This confirmed I was allergic to something in this product. I am bummed but at least I know that caused the bumps to appear. Hey Robyn – Sorry to hear about your rash! Have you tried reaching out to the folks at Vega? They are pretty responsive over email and Twitter and may be able to help you figure out what ingredient you might be allergic to. Hi Lindsay, actually I have not. I will follow your suggestion of contacting the company and see what happens. Would this be considered Whole30 compliant? Unfortunately not. Protein powder is not whole30 compliant. Let me know how it goes, Tina! I bought Vega One+ about a week ago. Mixed it with homemade almond milk, blueberries, chia seeds and some kale. I noticed no ill effects after the first couple of servings. This week I have used it once in the morning (used water as I was out of almond milk) and about 20 minutes after drinking it I felt very nauseous. Felt this way for the entire day. I thought it was just me. The second day I made a shake for an afternoon snack. Again felt very nauseous (stomach-flu-like nauseous). It lasted for hours. I actually have an aversion to it now. I will take a break from it for the rest of the week and try again later with half a scoop. The product sounds amazing, so I hope I can drink it without feeling ill again. I have tried the vega one and was violently ill from it unfortunately. Vomiting for the afternoon and nauseous still. I have used this product before and didn’t have this issue. Disappointed. The same thing happened to me last week. Now I am afraid to use it. I first want to say that i really really hate writing a bad reviews, in fact i would rather blame myself instead of a company or another person but i feel that if i don’t write this review i would be contributing to what Vega One aka Sequel Naturals Inc by founder Charles Chang has going on. I bought my Vega One Vanilla Chai Shake from my local Vitamin Shoppe in Florida as i do all my shakes and absolutely loved the taste and was very happy to have finally found a protein shake with an acceptable taste. About a week after taking this i broke out in hives all over my chest and upper stomach. I also began to feel a throbbing sensation near my uterus, which felt very weird and very scary. I also noticed my urine started to become crystal clear which i recognized as one of the first signs of the kidneys failing. At first i did not think it was Vega One, since this is supposed to be a natural vegan product. I could not figure out what was causing this illness. Vega One was the only change i made in my diet but i still did not think it was Vega One but I stopped taking the shake just in case. I went on a water/herbal detox and took natural vitamins and herbs to clear the reactions which took quite a while to clear which means that this was a very strong reaction that my body had since not even my natural remedy mixtures were responding to it and i have some very potent herbal mixtures and oils. After the hives went away leaving me with what looks like a permanent scar, i bought another Vega One Shake again to try. Immediately after beginning Vega One for the second time I started to break out in hives again, this time on my neck and upper chest, as well as throbbing near my uterus again, clear urine (signs of kidneys failing), and now the entire bottom row of my gums/ teeth are ACHING and have been this ways for DAYS so now i am 100% sure this reaction is from Vega ONE. I’ll be calling a doctor tomorrow to make an appointment which i haven’t had to do in years. As i sit here typing with Calomine lotion all over and Orajel as a last result and to no relief, i am writing to say how very disappointed i am in Vega ONE and founder Mr. Chang. After reading the ingredients again i could not find out why i was reacting this way as I’ve already eaten all of those ingredients before in other products with no problems. It wasn’t until i did a google search with the keyword phrase ‘vega one side effects’ and the phrase ‘ Vega One Rash’ that i really started to get upset. From FDA postings about Vega One recalls for product contamination with the prescription drug chloramphenicol (CAP which can cause fatal blood problems and can take weeks of building up for the symptoms to appear with unpredictable reactions) to hundreds of horror stories and complaints from Vega One customers on google about seizures, becoming violently ill, fainting, vomiting, nausea, aplastic anemia, emergency room scares, and other severe illnesses from people who’ve bought the Vega One Chai and Chocolate flavors. Even after the so called “voluntary recall’ which did not seem so voluntary with Mr.Changs unwillingness to comply according to globalnewsca. Why is this product still making people violently ill today. It is scary to think that there are some people who have became very ill from this product and do not know the cause of their illness because they are not connecting it back to Vega One and this is why i couldn’t in good conscience not say anything. I had used a whole Chocolate protein and greens with no issues and in October 2015, I started on a new container. 2 hours later, I violently puking for 40 minutes, leaving me extremely weak. I didn’t touch it again until a week ago, the same time frame, 2 hours later, began puking, but this was worse! It was so violent, I ended up urinating on myself and bruising my ribs. Once I was done puking, I couldn’t make it anywhere but the nearest carpeted floor about 5 feet away and clasped and did not move for 3 hours. After then, I was extremely weak and was extremely lethargic the next day. I am submitting a questionnaire to Vega today, but will never buy this product again, especially with it’s history of making people ill.
My daughter was rushed to ER by ambulance in November 2015. People are still getting violently ill all of the time. Thank you – THANK YOU THANK YOU! I thought I was going crazy – I have been using Vega Protein and Greens – all their flavors for over a year – 2 shakes a day – just easier and I know what i’m getting for nutrition in the smoothies I make. I have just recently noticed my teeth being extremely sensitive to the point where they really hurt – I have good teeth and couldn’t tell you what the cause was. I asked my Dr. about it – holistic – he commented that if calcium was being taken out of bones that would happen – I mentioned the protein – he said maybe but wasn’t too concerned with that. Now that I read these posts – Thank you for the research! – it makes perfect sense. Mon – thru Fri – I do my shakes – the weekends I usually don’t – so come Mon – when I start with the shakes – BOOM – teeth start to hurt! I guess I’m gonna have to better look at my diet and adjust back to ‘whole’ foods vs. protein smoothies. I feel much better knowing this isnt’ in my head! thank you again!! I love the Vega One product. My first container was amazing and filled me up. When I started my second container I can only make it through half a serving and I feel sick and bloated. I think I might take a couple days off and see if that helps. This is a perfect breakfast for me. I bought vega proteins and had an adverse reaction to it. I got nauseous and violently ill at work vomitting half a dozen times at work. Shaking, sweats, muscle weakness , lethargic, pain in stomach throat and abs. Five months later I tried it again and the reaction was worse. I was vomiting from 11:00pm to 3:00 am. I passed out while laying on my bathroom floor praying not to die. My seven year old daughter was upset holding my head off the floor and I had to call a neighbor to help me. I missed work and I’m on the couch afraid to eat or drink anything. Read all these bad reviews with similar reactions to me. How on earth is this product on the shelves??? I will NEVER buy this product or rec commend it to anyone and as a former trainer with professional and educational background in nutrition I will get the word out. Taryn K, please report your illness to the FDA, they are investigating my claim. Do you still have the container? DO NOT THROW AWAY OR RETURN TO STORE until after you have reported to them and given them much needed information. Many people are getting violently ill from this. 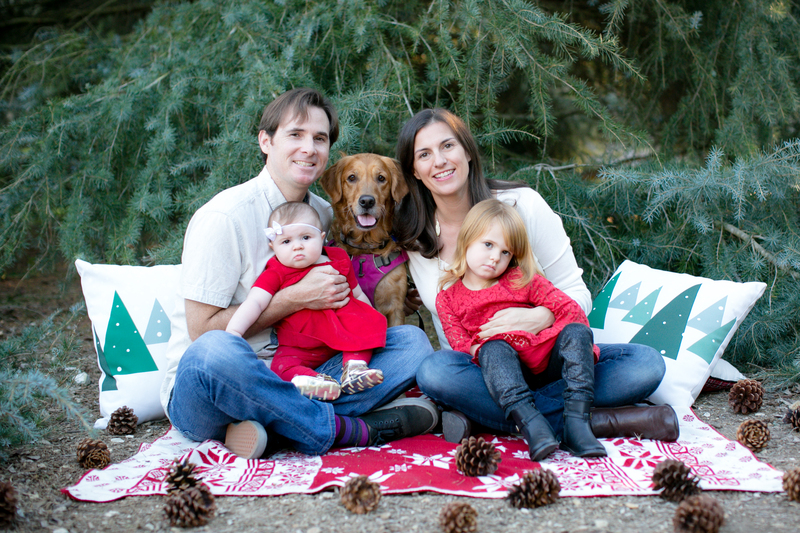 I fainted twice when my husband was taking me to the hospital. I have posted my reaction to VEGA on this thread already if you need more details. People please DO NOT take Vega products! Yesterday 5/2/16 I took one serving of Vega plant based vanilla protein shake with just water. Within minutes my bottom lip swoll up and I was itching in my ears, abdomen, bottom and feet burning. Vision became blurred and I started whizzing. I told my husband to take me to the hospital when my vision started to go and the inability to breath was becoming acute. When I left my house to get into my vehicle so that my husband could take me to the hospital I fell to the ground from passing out. My husband got me up and then I walked to my vehicle and as I went to open the door I passed out again. Breathing was so difficult that I begged my husband to take me to the Fire Station near our home because I needed oxygen immediately. When the EMT came out to give me oxygen I violently threw up on him and myself and the inside of my vehicle. I had to wait for an ambulance to take me to the hospital because they were all on call. Inside the ambulance they put me an IV with Benadryl and I continued on oxygen. Once in the Emergency room, the nurse commented on the size of my swollen lip and the whelps on my back, abdomen and rash on the entire length of both my arms. I continued to vomit in the hospital. I also sprang my rest from fainting. I called Walmart where I purchased this product and Costco because they sale this product also. I am now waiting for the FDA to return my call. This product is very dangerous for some people and should be pulled from the shelves immediately. This was a near death experience for me. I was very blessed to have my husband around to assist me since I could hardly breath and fainted. I hope that my experience will warn others and possibly save lives. God bless. I’m sorry to hear you had such a bad reaction to Vega. Have you tried reaching out to the company directly? They are very responsive on Twitter. Hope you’re feeling better. Sorry about your experience! I am happy to say that my experience has been quite different. I love vega one. So much so that I have readjusted my monthly budget to make sure that I can use it daily. My only complaint is the $$$$. 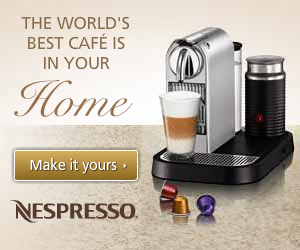 The only reason I have ever looked at other products is because it is so expensive. (I tried the ‘protein and greens’ one week to try and cut costs. BARF.) However, the vega one taste is great, my stomach (which can be sensitive) handles it fine and I feel better when I drink it. 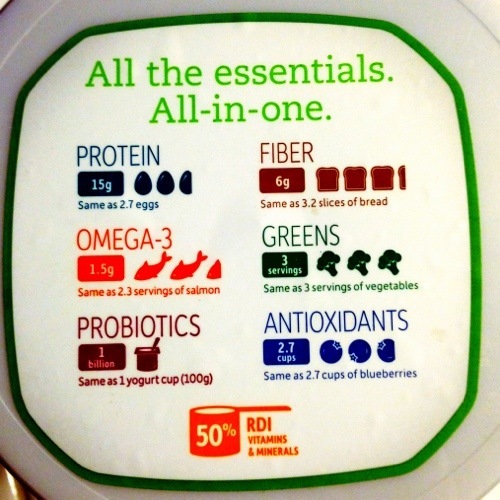 Fiber = good, probiotics = good ,greens = good, protein = great. I just mix it with unsweetened almond milk and a serving of plain yogurt to give myself a protein boost about an hour before I workout. I am sad for the people who reacted badly but it sounds like an individual problem, not a vega problem. Oh no, I’m so sorry to hear Vega made you sick. Have you tried reaching out to the company directly? Melissa, please notify FDA before returning your product. You should get a full refund but the FDA will need the info for the container first. I hope that you are feeling better. I had to be hospitalized from using the vanilla flavor. I started using Vega One Choc-o-Lot about 2 weeks ago to add flavor to my evening plain yogurt for dessert. I didn’t have any issues with it. I have asthma and I am amazed that my breathing seems to be feeling much better. I am using it twice a day now in 1 cup of plain organic yogurt and absolutely love it. It keeps me satisfied for hours. I’ll have to report back later as to further benefits, etc. I have tried to use the Vanilla Chai on a couple of occasions and have become very nauseous and shakey both times. Mine is a delayed reaction and makes me feel ill for days. Like I have the stomach flu. Many consumers of Vega are getting violently ill. My daughter was sent to ER by ambulance in November 2015 after drinking the Chocolate shake. There’s something lurking in this product that causes serious reactions, sometimes life-threatening ones. I recently tried Vega one Chocolate. Have been using it for a week now. The taste is good. It doesn’t upset my stomach, but I feel weak and make me nauseous. Might go to half a scoop. If i still get this side effects i will stop using it. I had been using Vega and 365 Brand protein powders and need to stop. I was using Vega for a couple weeks and my hands and souls of my feet started itching horribly! I stopped using the Vega. A few weeks went by and I tried Whole Foods’ 365 Brand Pea Protein powder and same thing! Must be something in both like a filler that I’m allergic to. Can’t imagine what. Started taking this last week, everyday when I take it I feel flu like symptoms, last night I felt it hard to breath. I have a history of passing out so I’m glad that hasn’t happened yet, but I am going to stop taking now. I feel horrible as I read this because I just had my shake around 2 hours ago and I don’t want my anxiety to get the best of me before it flushes out of my system. Who would have thought something supposed to be good for you could be so bad. Please use with caution. Hi all – I have been using Vega all in one Vanilla shakes for about a year now. My husband and I mix the powder with water and a couple of ice cubes for breakfast at least 5 days a week. Sometimes we mix some fresh fruit when we have it. We have had no side effects from this product. I am very sensitive to products with the tiniest bit of hormones or hormone like additives. I can tell in a short time period if a product causes a reaction to my hormones. Many protein drinks have caused many different reactions, but with this product I have had no ill effects. This product got me ill .. i am glad i saw your comments other wise i would be left worried what happened to me. When i started to drink it yesterday i felt shortness breathing and then 4 hrs later i got sick nauseous and headache for like two hours. I threw this vegan powder away. I know this is an older post, but a possible reason for the adverse reactions to Vega One protein powder is that it contains Sacha Inchi as one of the main ingredients. This ingredient is another name for the Indian peanut, and it is a peanut flour. Peanut protein is already listed as one of the most allergy inducing foods, so a concentrated form of peanut protein is likely to cause issues for a lot of people (including myself), even if they don’t have bad reactions to regular peanuts. My bad, I meant the “Inca peanut”.